A precondition for the appropriate analysis of conceptual models is not only their syntactic correctness but also their semantic comparability. Assuring comparability is challenging especially when models are developed by different persons. 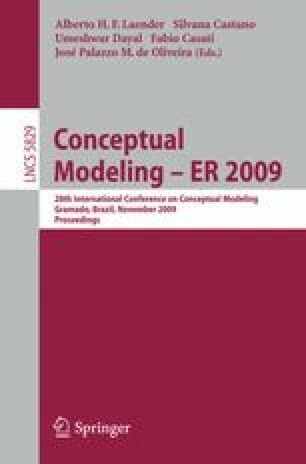 Empirical studies show that such models can vary heavily, especially in model element naming, even if they express the same issue. In contrast to most ontology-driven approaches proposing the resolution of these differences ex-post, we introduce an approach that avoids naming differences in conceptual models already during modeling. Therefore we formalize naming conventions combining domain thesauri and phrase structures based on a lin-guistic grammar. This allows for guiding modelers automatically during the modeling process using standardized labels for model elements. Our approach is generic, making it applicable for any modeling language.